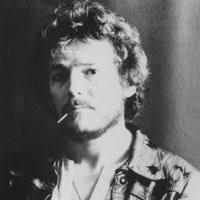 Gordon Meredith Lightfoot, Jr. CC O.Ont (born November 17, 1938) is a Canadian singer-songwriter who achieved international success in folk, folk-rock, and country music and has been credited for helping define the folk-pop sound of the 1960s and 70s. He has been referred to as Canada's greatest songwriter and, internationally, as a folk-rock legend. His compositions, including "For Lovin' Me", "Early Morning Rain", "Steel Rail Blues" and "Ribbon of Darkness" (which hit Number 1 in the US with Marty Robbins's cover in 1965), brought him international recognition in the 1960s. He also experienced chart success in Canada with his own recordings, beginning in 1962 with the Number 3 hit "(Remember Me) I'm the One". His recordings then made their own impact on the international music charts in the 1970s, with original songs such as "If You Could Read My Mind" (1970) (Number 5 in the US), "Sundown" (1974), "Carefree Highway" (1974), "Rainy Day People" (1975), (all hitting Number 1) and "The Wreck of the Edmund Fitzgerald" (1976) (hitting Number 2). Some of his albums have achieved gold and multi-platinum status internationally, and his songs have been recorded by some of the world's most renowned recording artists, including Elvis Presley, Johnny Cash, The Kingston Trio, Marty Robbins, George Hamilton IV, Jerry Lee Lewis, Bob Dylan, Judy Collins, Barbra Streisand, Johnny Mathis, Viola Wills, Richie Havens, The Dandy Warhols, Harry Belafonte, Tony Rice, Sandy Denny (with Fotheringay), The Clancy Brothers and Tommy Makem, Scott Walker, Sarah McLachlan, John Mellencamp, Toby Keith, Peter, Paul and Mary, Glen Campbell, Anne Murray, and Olivia Newton-John. Robbie Robertson of The Band declared that Lightfoot was one of his "favourite Canadian songwriters and is absolutely a national treasure. "Bob Dylan, also a Lightfoot fan, called him one of his favourite songwriters, and in an often-quoted tribute to his fellow songwriter, Dylan once observed that when he heard a Gordon Lightfoot song he wished "it would last forever." Lightfoot was a featured musical performer at the opening ceremonies of the 1988 Winter Olympic Games in Calgary, Alberta. He received an honorary Doctor of Laws degree (arts) in 1979, as well as the Companion of the Order of Canada - Canada`s highest civilian honor - in 2003.